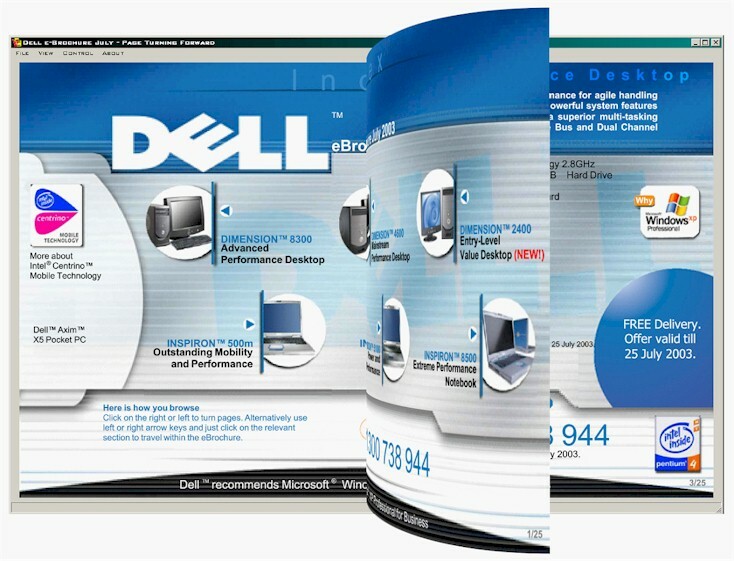 The Virtual Publishing Company currently has a 2D publication model for Windows in the market and has produced thousands of publications and brochures in this format. 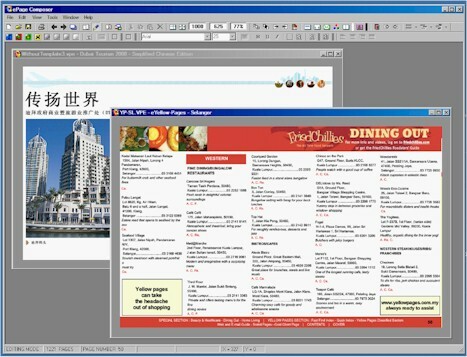 This technology already has the most realistic and advanced graphical page turn in use today for presenting publications in 2D on screen. It also has its own internal typesetter for outputting sharp scalable text with a precision 8 times higher than Windows. The 2D publication comes in 3 versions, a stand-alone exe file format, an ActiveX browser viewer and an installable publication reader that opens encrypted publication content files. Stand-Alone Publication Compilers for exe and Encrypted Publication files.